Escape to a water wonderland full of dancing cupids and exotic mythical fish! 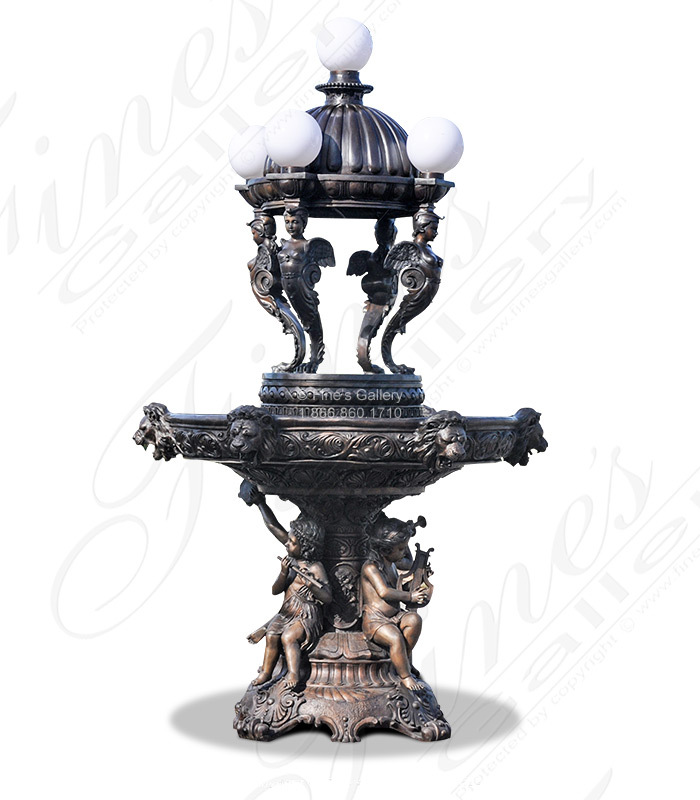 This beautiful fountain is sculpted with the finest in ornate and artistic design. 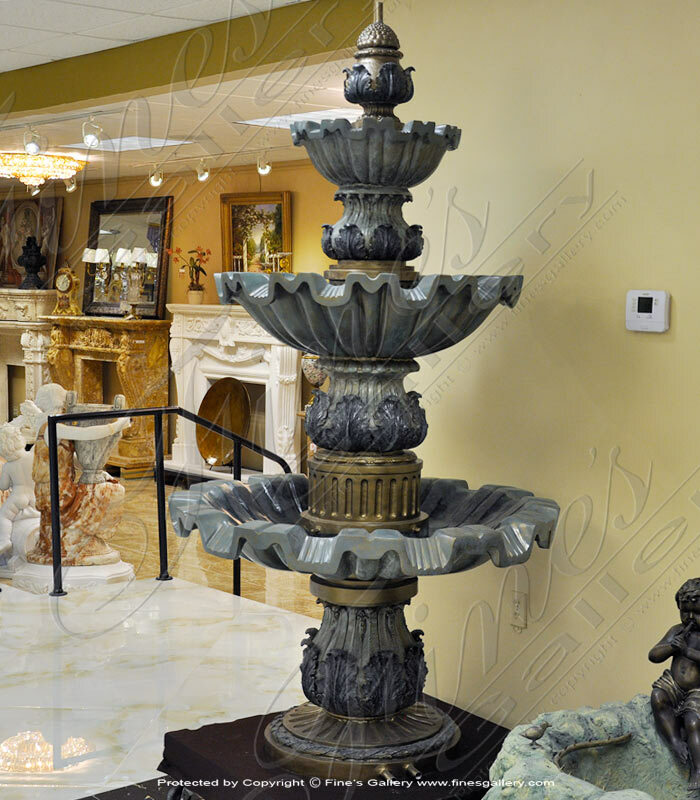 Majestic waterfalls tower past magical fish, creating an atmosphere of pure enchantment. 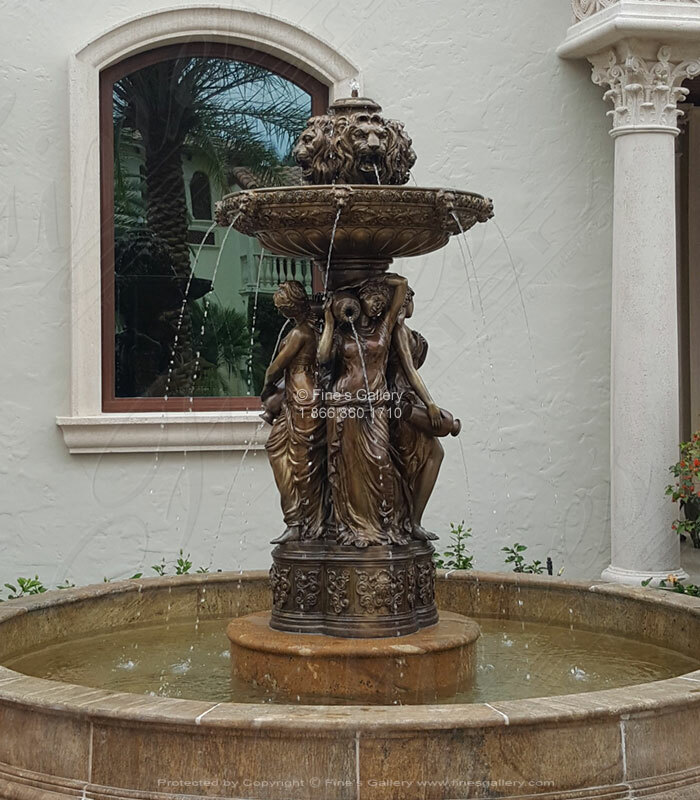 This oversized bronze fountain includes larger than life size female statues each pouring water from jugs along with a four lion spout finial, all finished in antique patina bronze. 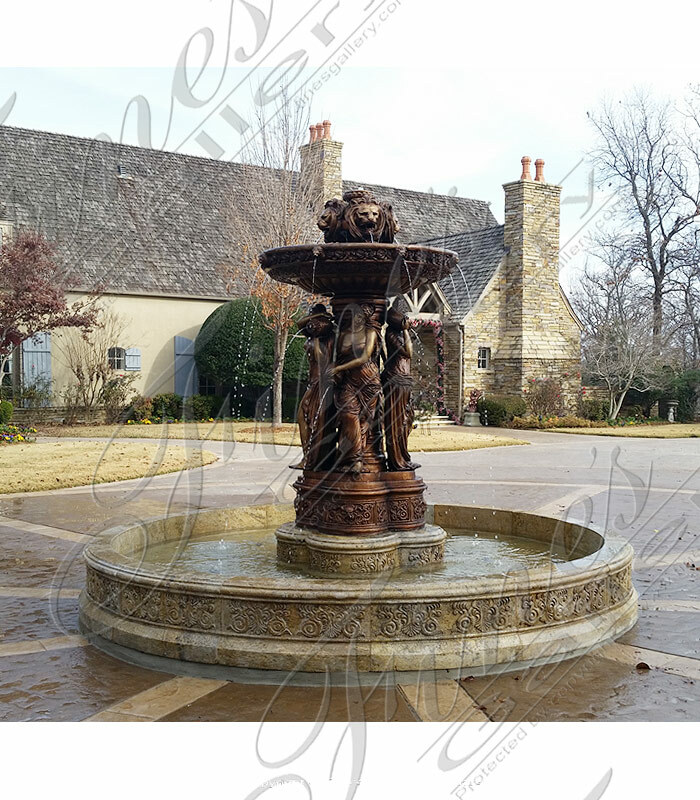 Includes custom designed 20 foot solid granite pool. 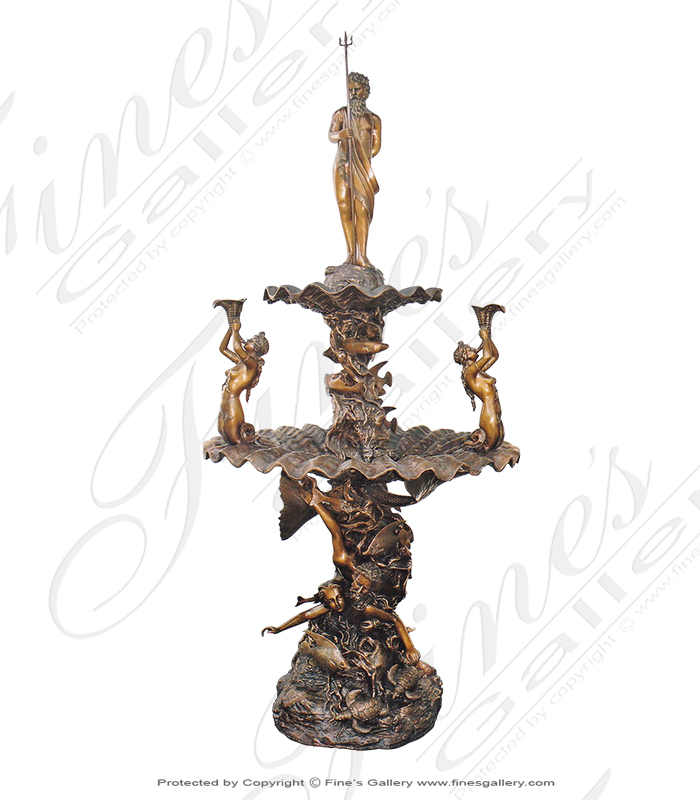 This amazing high quality bronze tiered fountain is truly a work of art. All details pain stakingly sculpted by the finest artisan and finished in bright beautiful silver and gold colored bronze enamel finish! 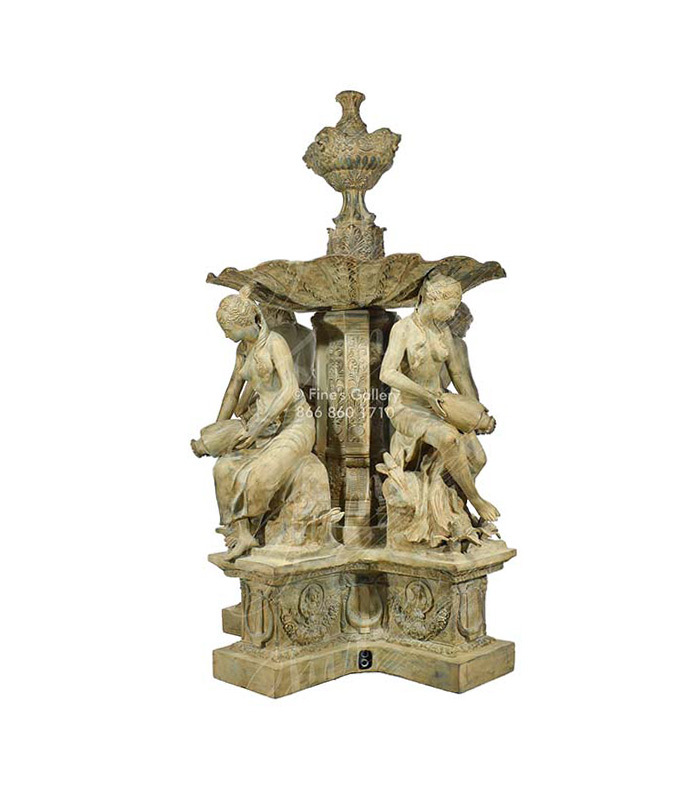 A very graceful fountain perfect for your garden or driveway. 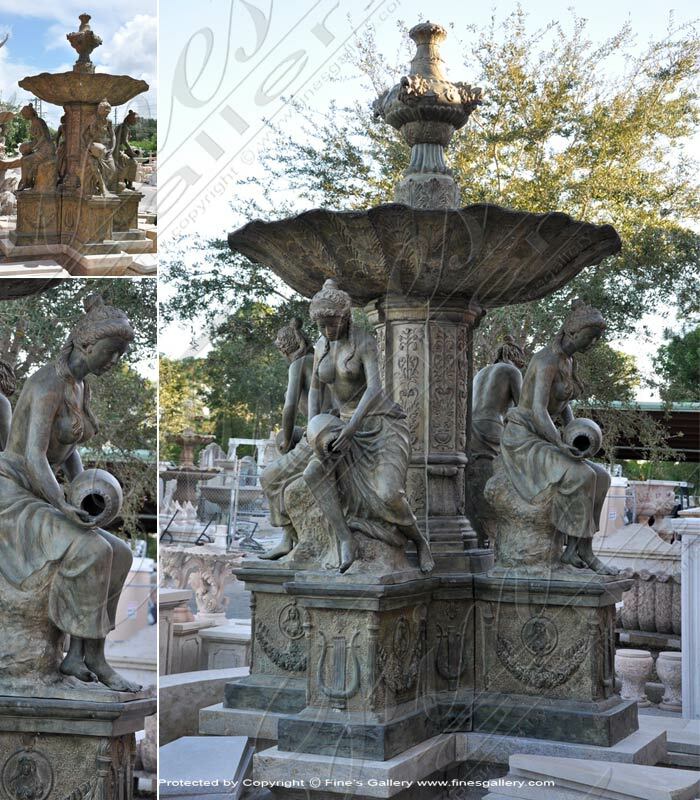 The Floral Maiden Bronze Fountain depicts three beautiful woman sculptures. Water cascades over into your pool below. 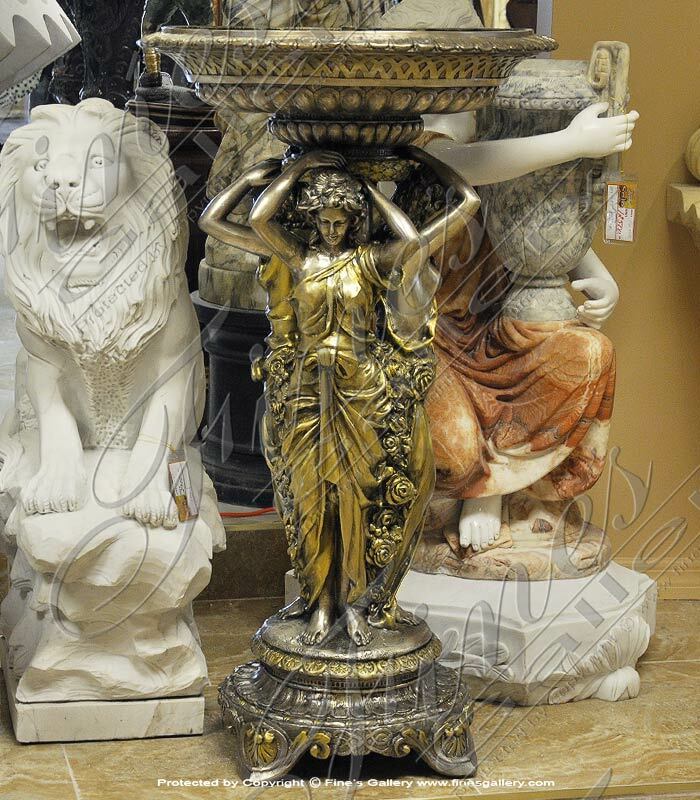 Stunning marble or granite pool is available separately. 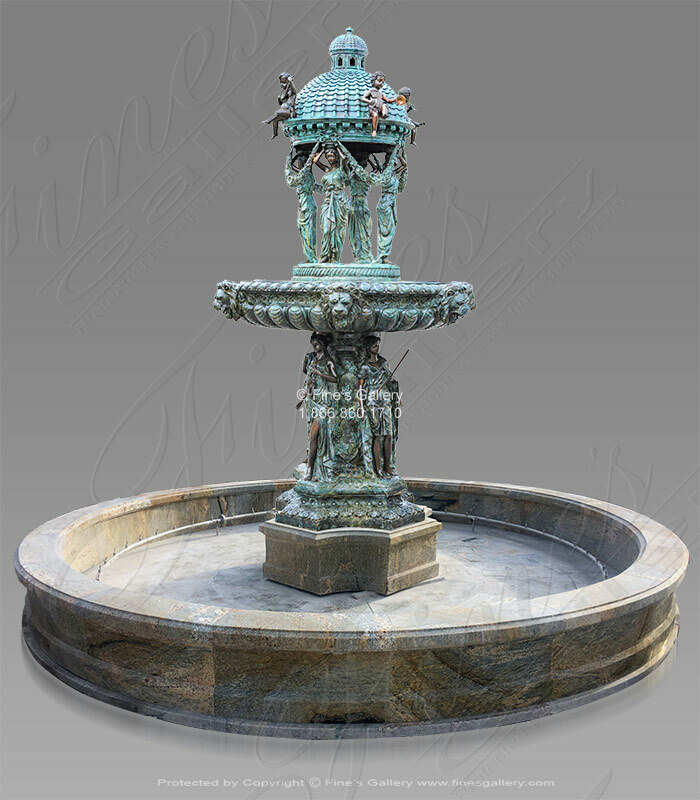 An amazing high quality fountain sclupted from 100% solid bronze. 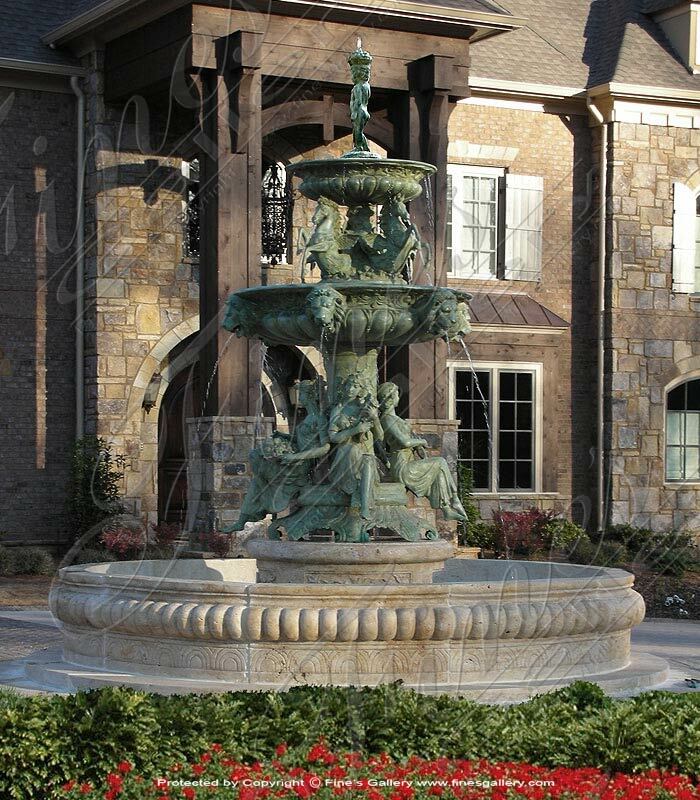 The bronze Europa Fountain adds a touch of europe to your estate. 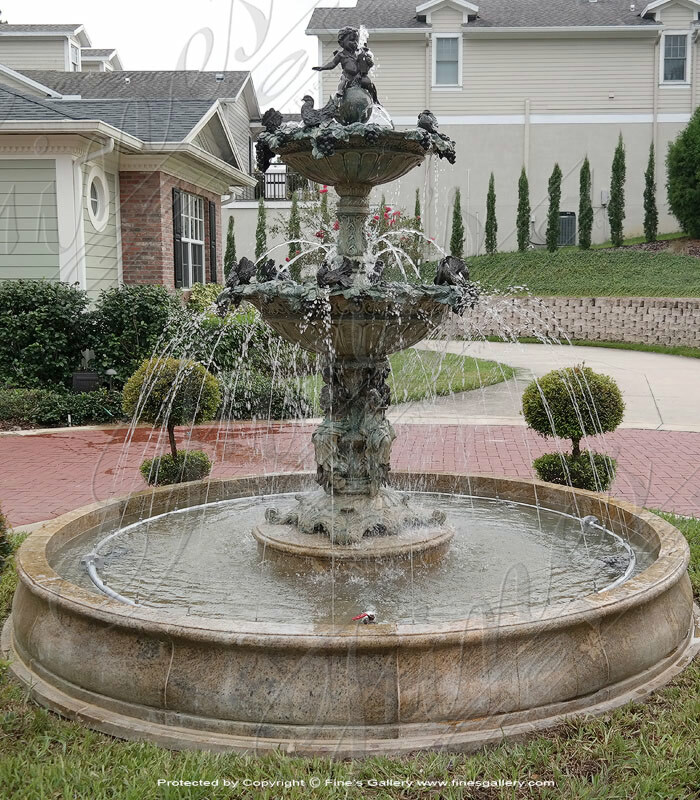 Fines Gallery offers a custom marble or granite pool upon request. 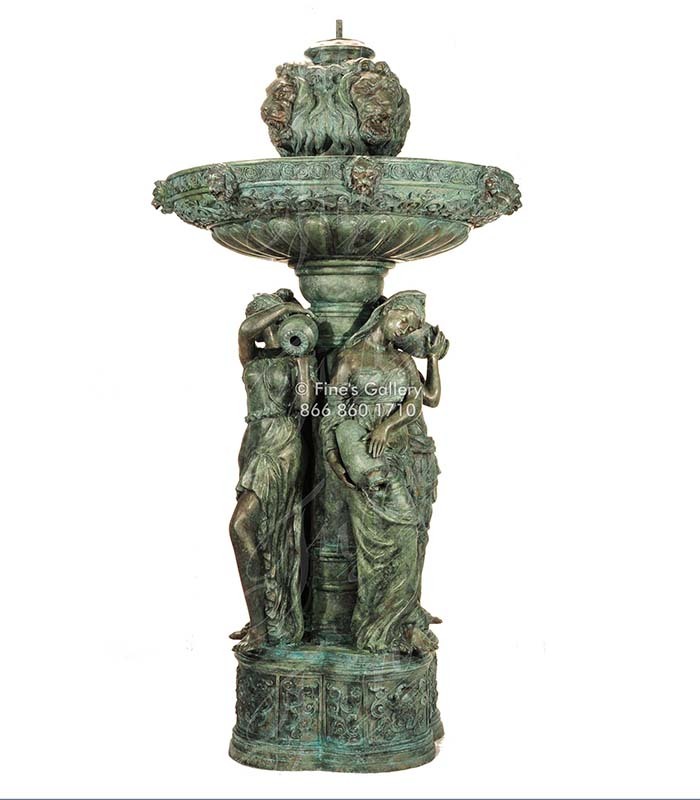 Four Greek Maidens Bronze Fountain in antique patina finish. 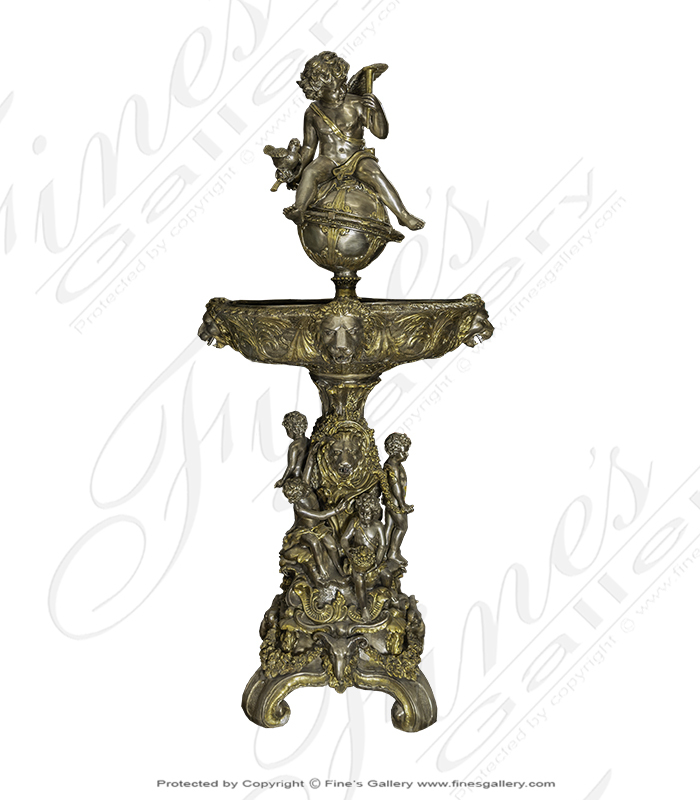 A four lion head finial spouts water into the shapely scalloped top tier. 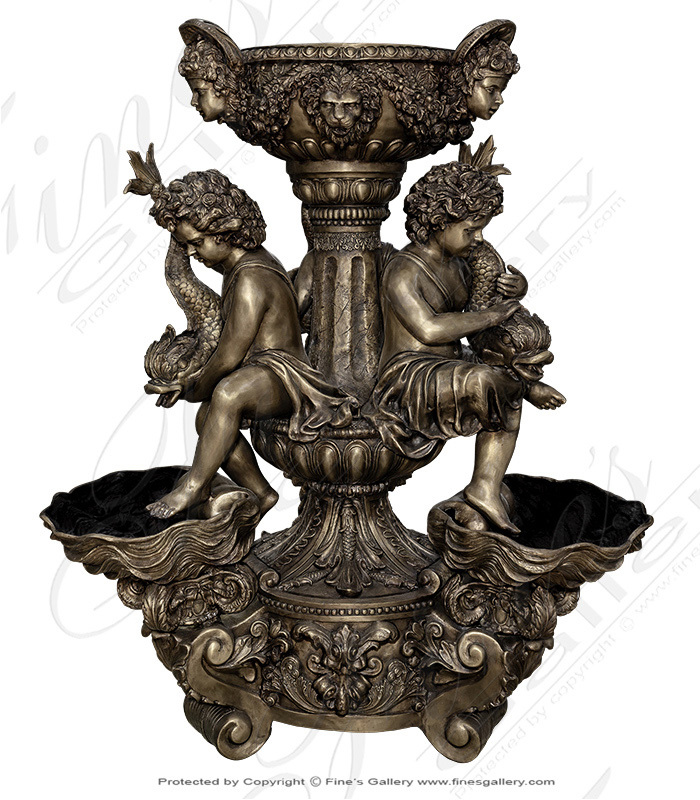 Each of the four maidens pours water from each vase in to the pool basin below. Natural Stone pool basins available. 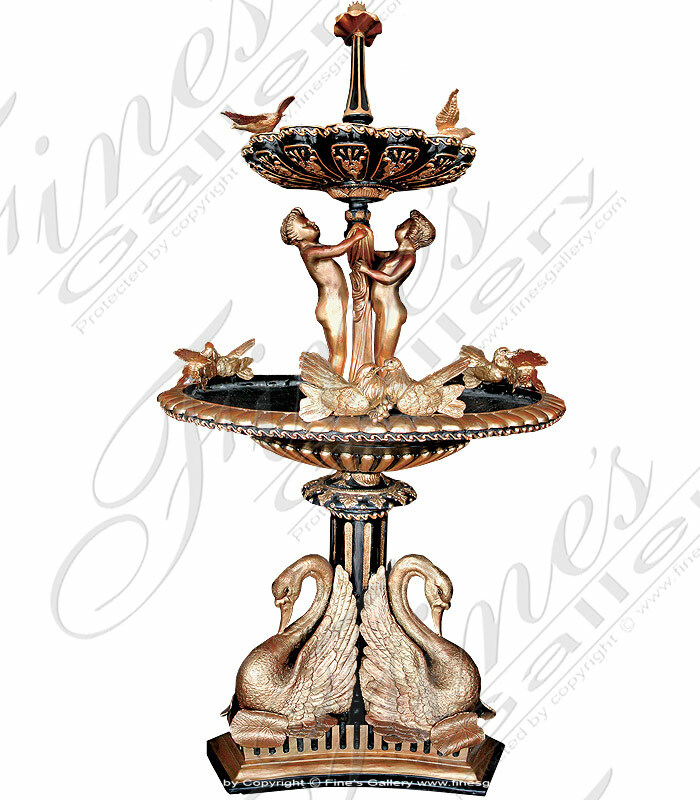 Children and wild birds frolic on the pedestal of this playful bronze fountain. Swans make a graceful addition as they take a pose in the circular pool below. 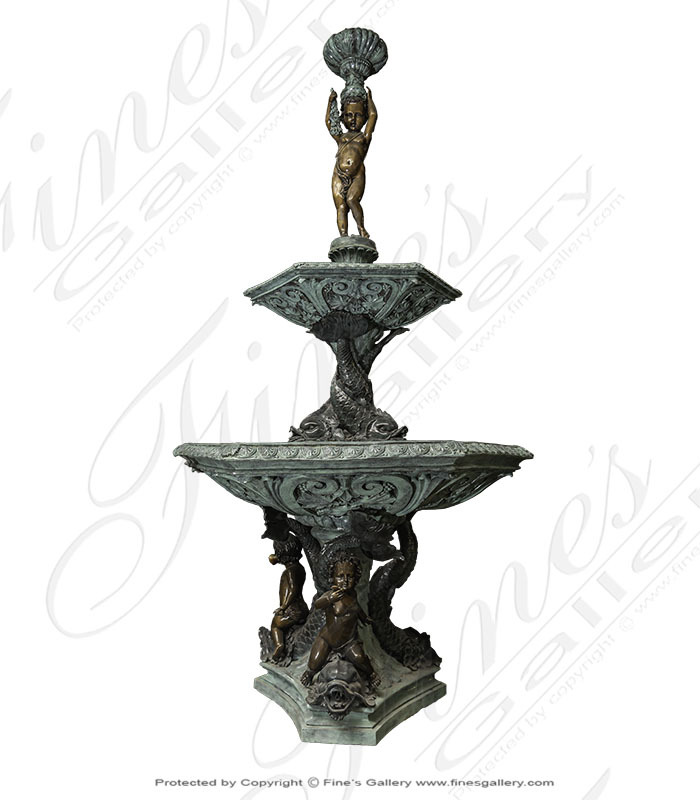 Contact the gallery to order this ornate fountain.